View toward Prague district 10 from the slopes at Havlickova Sady Park in Prague 2, with the Grebovka wines. 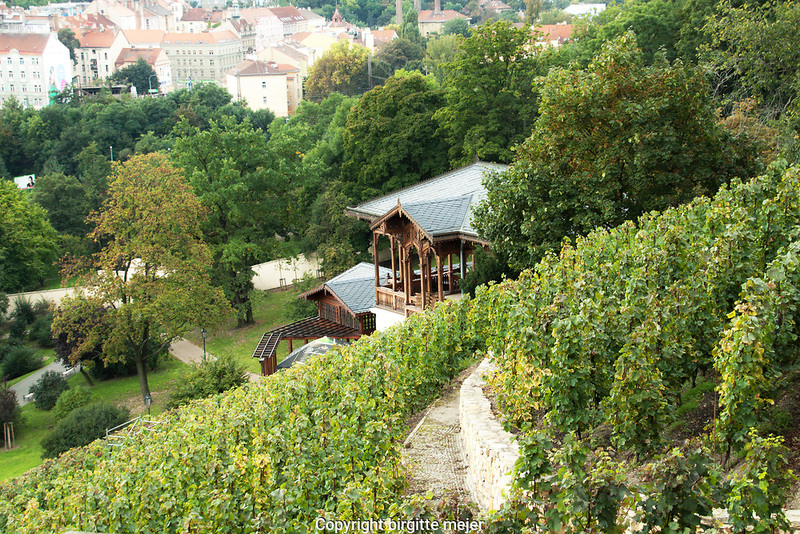 One of the restored vineyards where you can try wine in the middle of the place where the vines are located is the Grébovka vineyard on the steep slopes of Nuselský Valley. Here, in nearby Havlíčkové sady and on Peace Square, the annual Grébovka Vintage will be held. The festivities will include supporting programs and competitions, a historical market place and, of course, degustation of wine and fermented wine with service in period costumes.